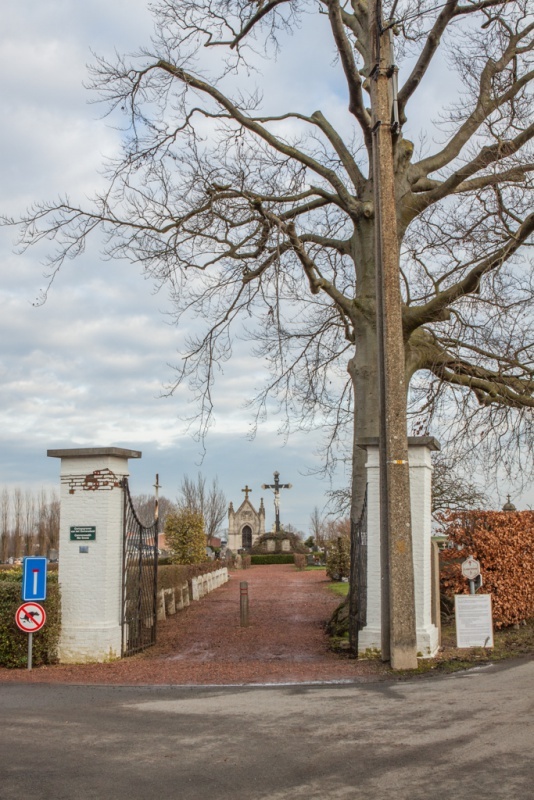 The town of Kruishoutem is located south-west of the city of Gent on the N459. From the motorway E17/A14, which runs between Kortrijk and Antwerpen, turn off at junction 6 onto the N459, direction Kruishoutem. Follow this road to the town centre and the square, bear left through the square into Kerkstraat and turn immediatly right into Pastorijstraat. 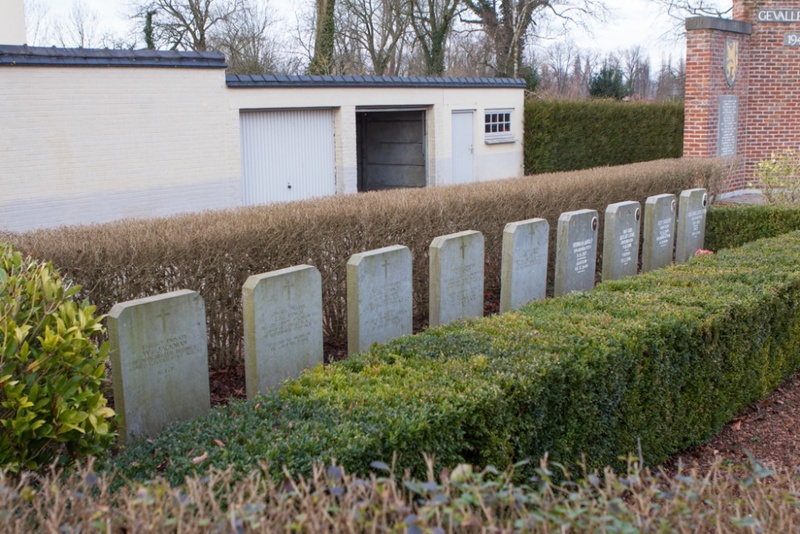 The cemetery is along here on the left and the graves are located to the left of the entrance. The large Belgian pelouse d'honneur at Kruishoutem Communal Cemetery contains five Commonwealth burials of the Second World War. 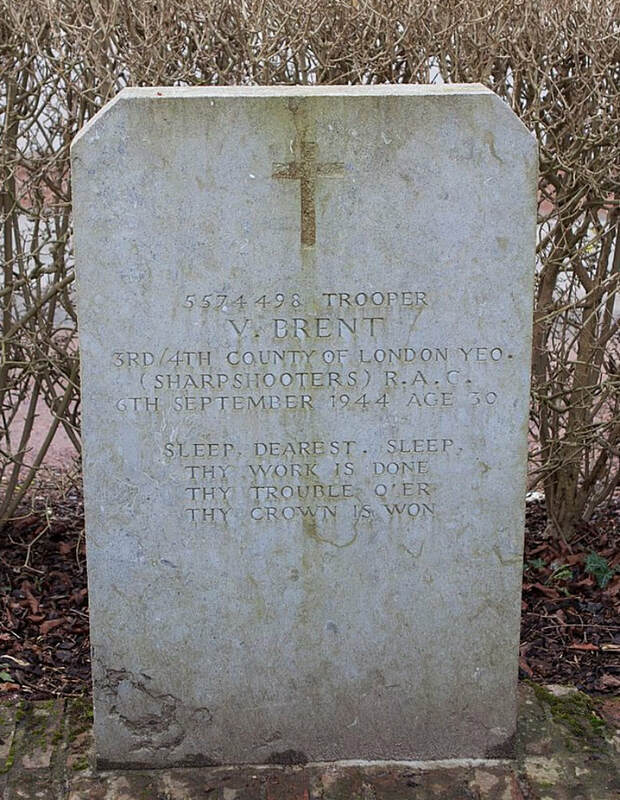 5574498 Trooper Valentine Brent, 3rd/4th County of London Yeomanry (Sharpshooters), Royal Armoured Corps, died 6th September 1944, aged 30. 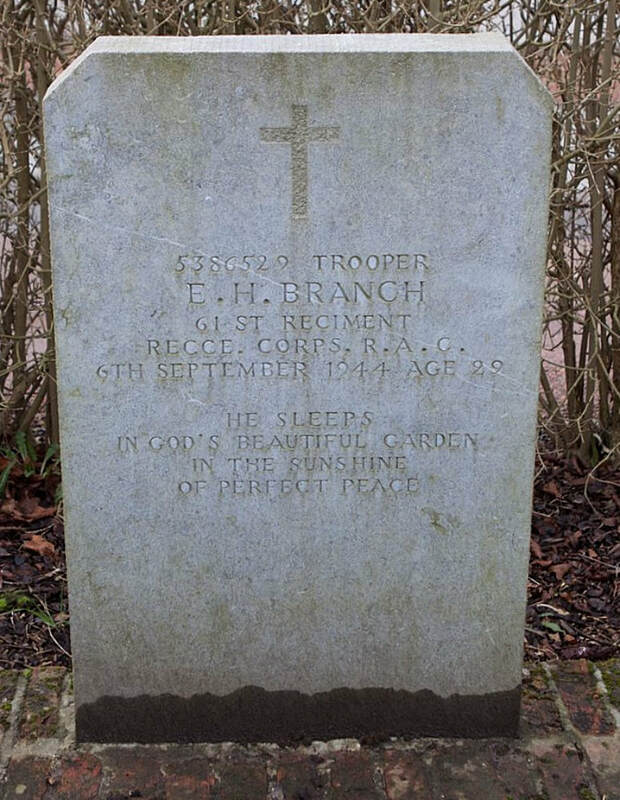 Son of Arthur Henry and Florence Brent, of Stoke Newington, London. 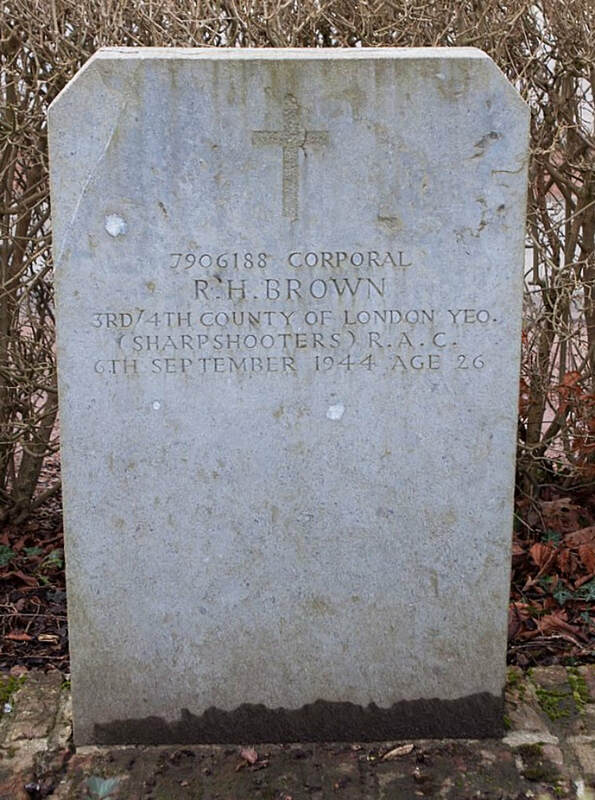 7906188 Corporal Raymond Henry Brown, 3rd/4th County of London Yeomanry (Sharpshooters), Royal Armoured Corps, died 6th September 1944. 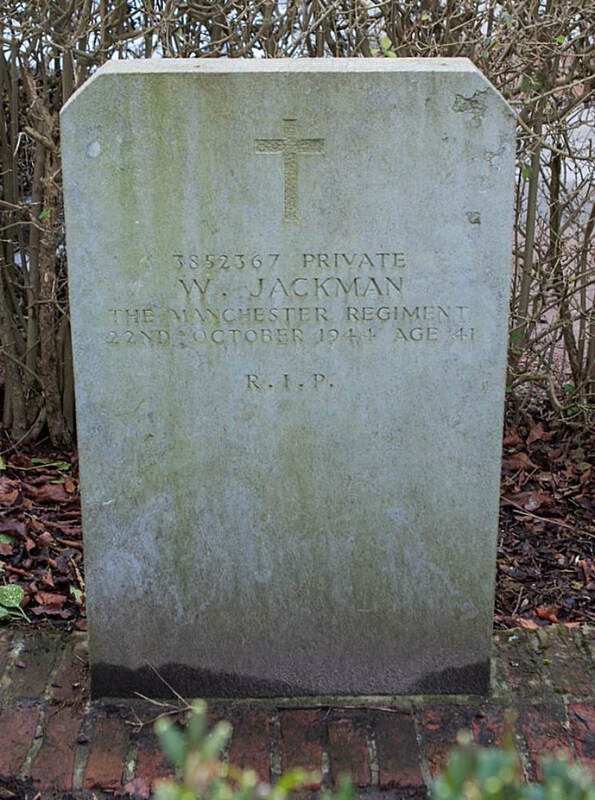 3852367 Private Wilfred Jackman, 7th Bn., Manchester Regiment, died 22nd October 1944, aged 41. 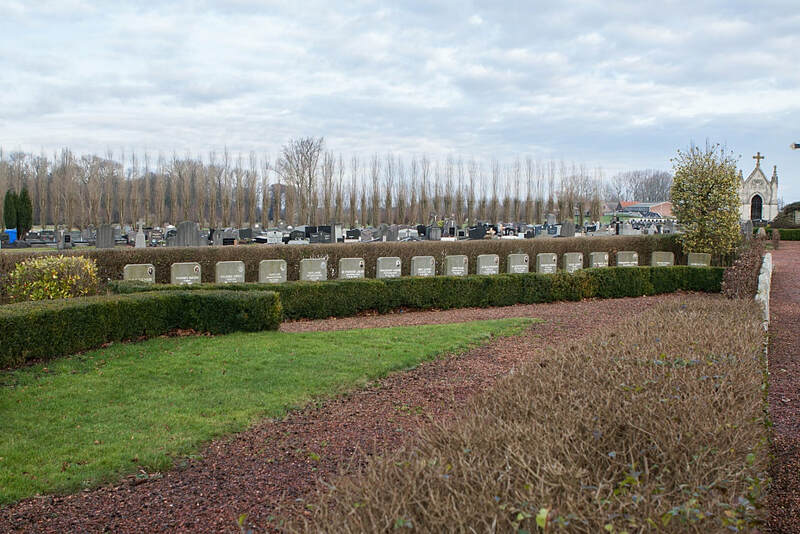 Son of William and Martha Ellen Jackman, of Euxton, Lancashire. 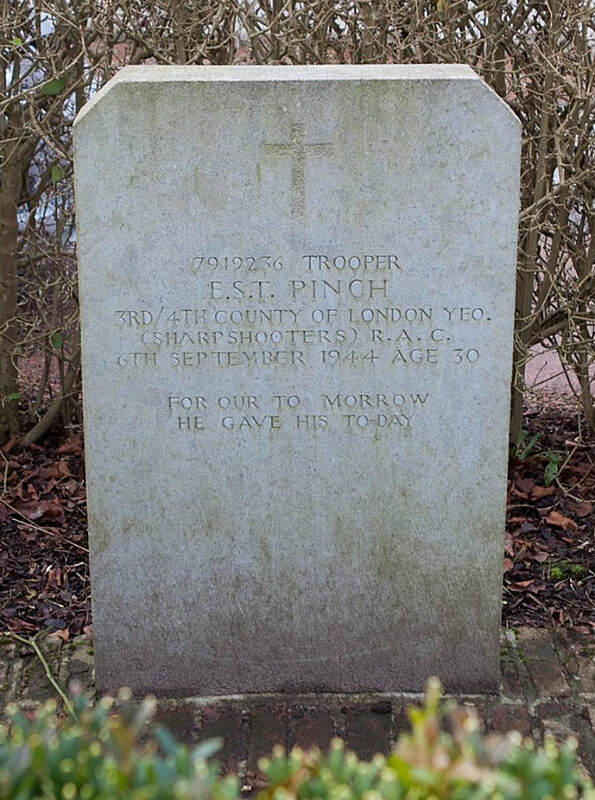 7919236 Trooper Eric Samuel Trevor Pinch, 3rd/4th County of London Yeomanry (Sharpshooters), Royal Armoured Corps, died 6th September 1944, aged 30. 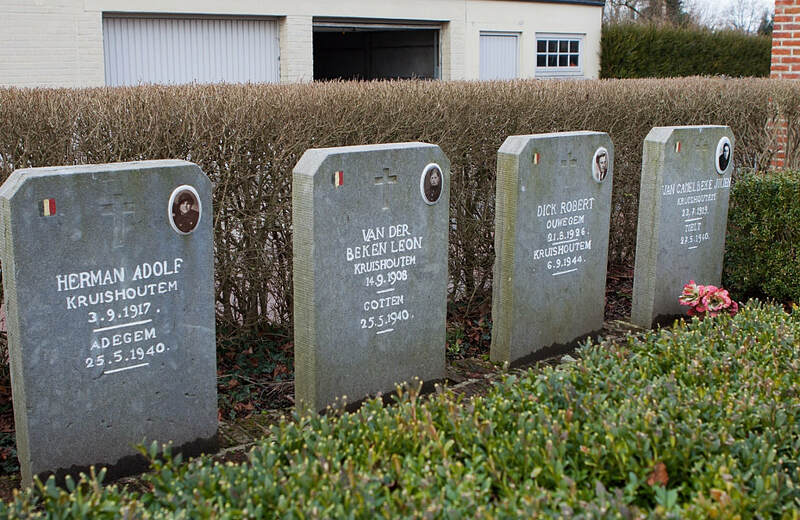 Son of Cyril Trevor and Beryl Mary Pinch, of Great Cornard, Suffolk.